Thomas Kurian will succeed Diane Greene as head of Google Cloud beginning in January. Kurian currently serves as President of Product Development at Oracle. He has an MBA from Stanford and a BS in Electrical Engineering from Princeton. Greene has led the division since December 2015. In a Google blog post, Greene says she will now dedicate time to mentoring women entrepreneurs and focusing on education. 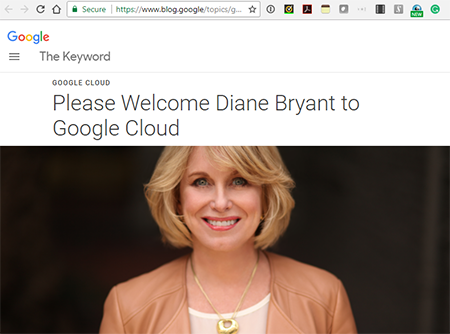 Diane Bryant has stepped down as Chief Operating Officer for Google Cloud, where she reported to Diane Greene. Bryant joined Google Cloud in December 2017. Byant was formerly Group President at Intel and known for her leadership Intel’s Data Center Group (DCG) as general manager and executive vice president. 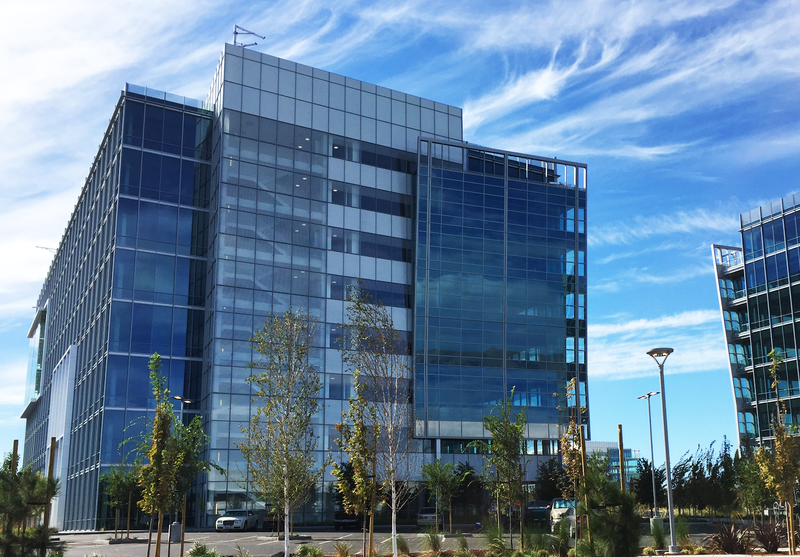 Intel's DCG generated $17 billion in revenue in 2016. 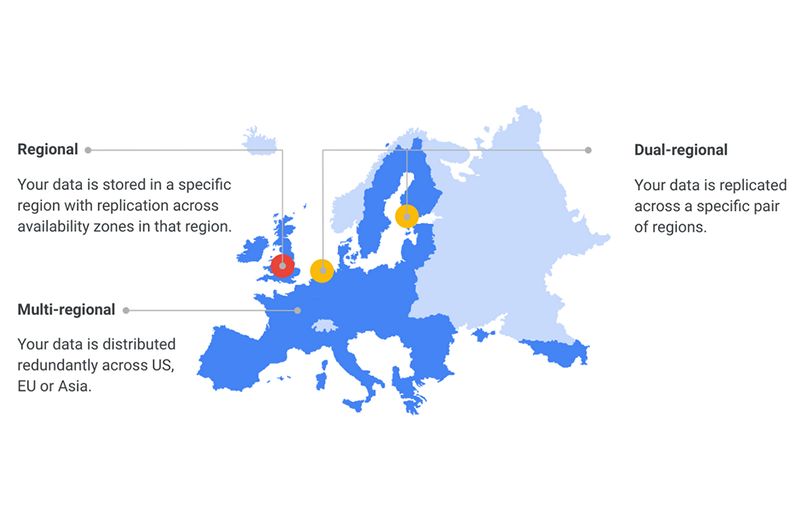 Google Cloud Platform is ready to launch a new Los Angeles cloud region next month, joining its current regions or Oregon, Iowa, South Carolina and northern Virginia. The new Los Angeles cloud region will target the aerospace, music, media and entertainment industries of southern California. 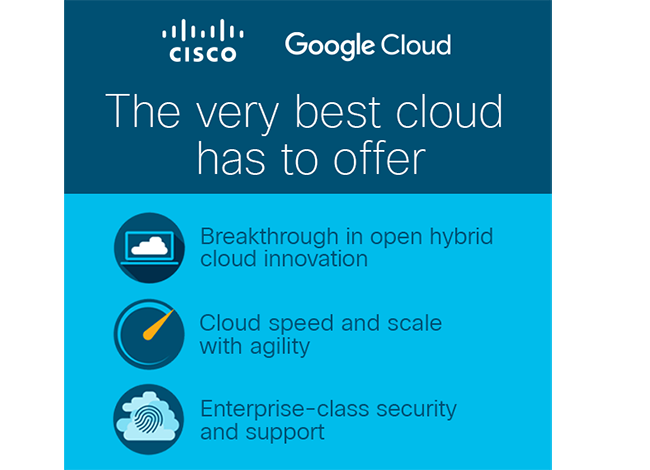 AT&T and Google Cloud announced two areas of collaboration. First, business customers will be able to use AT&T NetBond for Cloud to connect in a highly secure manner to Google Cloud Platform. 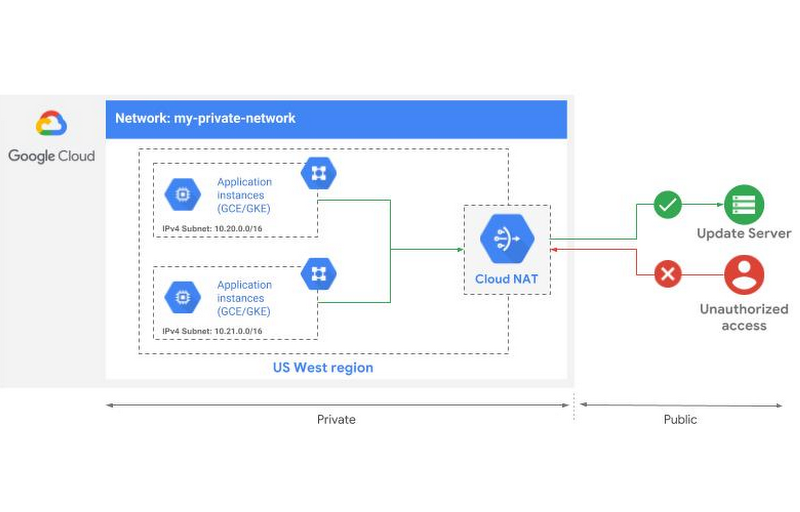 Google's Partner Interconnect offers organizations private connectivity to GCP and allows data centers geographically distant from a Google Cloud region or point of presence to connect at up to 10 Gbps. Google has joined more than 20 leading cloud providers in the NetBond® for Cloud ecosystem, which gives access to more than 130 different cloud solutions. Second, G Suite, which is Google's cloud-based productivity suite for business including Gmail, Docs and Drive, is now available through AT&T Collaborate, a hosted voice and collaboration solution for businesses. 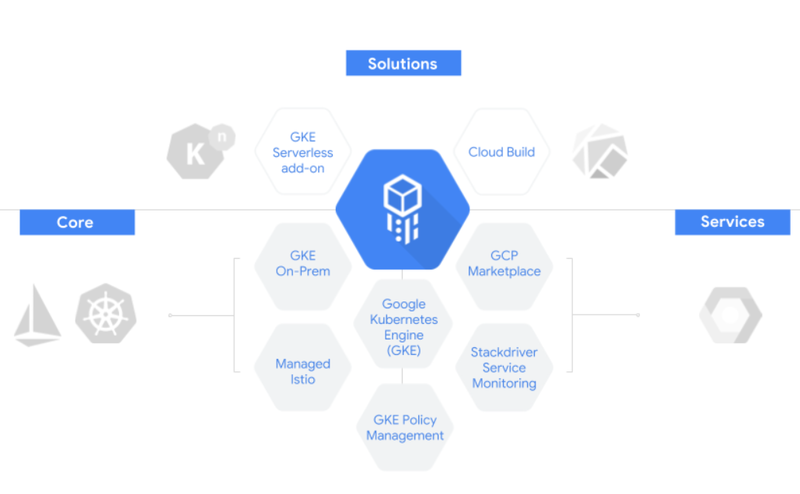 The company says its Cloud Memorystore provides a scalable, more secure and highly available Redis service that is fully compatible with open source Redis, letting you migrate your applications to Google Cloud Platform (GCP) with zero code changes. Redis is an open-source in-memory database project implementing a distributed, in-memory key-value store. It supports data structures and features like persistence, replication and pub-sub. Google Cloud Platform (GCP) is building a new region in Zürich, Switzerland. The facility is expected to be online in the first half of 2019. This will be GCP's sixth region in Europe, joining our future region in Finland, and existing regions in the Netherlands, Belgium, Germany, he United Kingdom, and another facility under development in Finland. With Switzerlan, GCP will have 20 regions in service or announced. Megaport has added support for Google Cloud's Partner Interconnect, a service from Google Cloud that allows customers to privately connect to Google Cloud Platform. Google Cloud's Partner Interconnect is a new product in the Google Cloud Interconnect family. 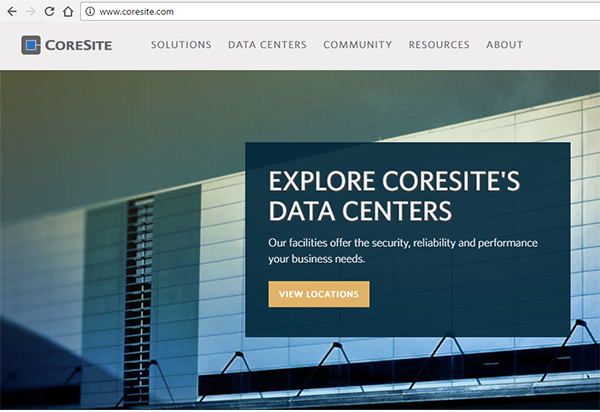 Last September, Google announced Dedicated Interconnect, which provides higher-speed and lower-cost connectivity than VPN, and has become the go-to solution to connect on-premises data centres with the cloud. Megaport said it is now providing connectivity to the nearest Google edge Point of Presence at a variety of sub-rate interface speeds varying from 50 Mbps to 10 Gbps. 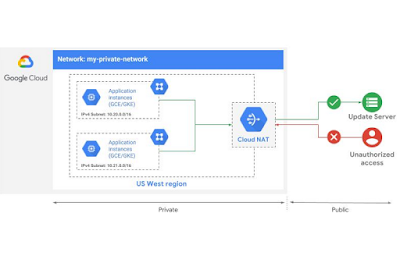 "Partner Interconnect gives Google Cloud customers even more connectivity choices for hybrid environments," said, John Veizades, Product Manager, Google Cloud. "Together with Megaport, we are making it easier for customers to extend their on-prem infrastructure to the Google Cloud Platform." "Scalable connectivity to Google Cloud Platform ensures that cloud-enabled applications perform to meet mission-critical business requirements," said Vincent English, CEO of Megaport. 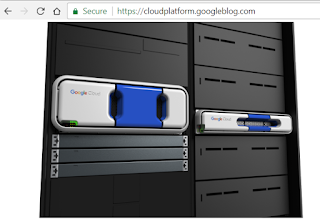 "Google Cloud brings tremendous value to the Megaport Ecosystem and empowers our customers to address a wide variety of business needs. 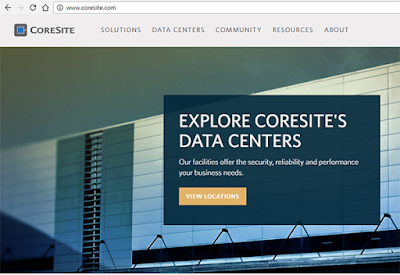 We have been working with Google Cloud since our inception and we are excited to grow and evolve our integration to ensure the next generation of business growth." 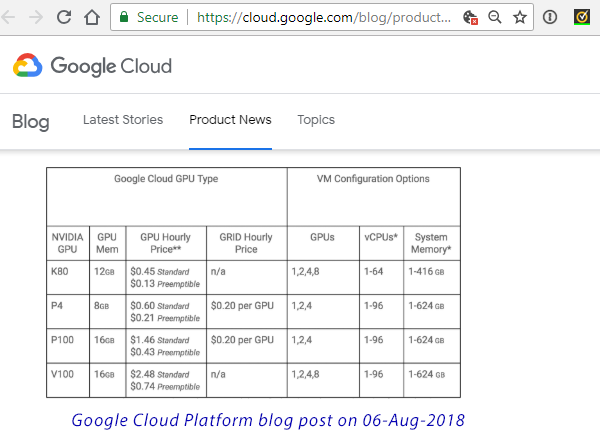 Google Cloud will use P4Runtime as the foundation for its next generation of data centers and wide area network control-plane programming, according to a new blog posting from Jim Wanderer, Engineering Director at Google and Amin Vahdat, Google Fellow. P4 is a programming language was designed to be target-independent (i.e. a program written in P4 could be compiled, without modification, to run on a variety of targets, such as ASICs, FPGAs, CPUs, NPUs, and GPUs), and protocol-independent (i.e. a P4 program can describe existing standard protocols, or be used to specify innovative, new, customized forwarding behaviors). P4 can be used for both programmable and fixed-function devices alike. For example, it is used to capture the switch pipeline behavior under the Switch Abstraction Interface (SAI) APIs. P4 is also used by the ONF Stratum project to describe forwarding behavior across a variety of fixed and programmable devices. The P4 Language Consortium (P4.org), creator of the P4 programming language, recently transitioned to become a project of the Open Networking Foundation (ONF) and part of the Linux Foundation portfolio. Google, which designs and builds its own hardware switches and software, sees the P4Runtime as a new way for control plane software to program the forwarding path of a switch as it provides a well-defined API to specify the switch forwarding pipelines. The vision is that the P4Runtime will be used to control any forwarding plane, from a fixed-function ASIC to a fully programmable network switch. 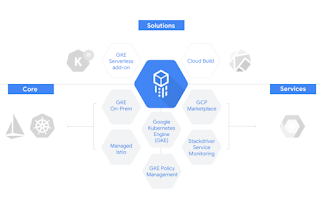 Google is working with the Open Networking Foundation (ONF) on Stratum, an open source project to implement an open reference platform for a truly "software-defined" data plane, designed and built around the P4Runtime.